At Dispomed, we know that properly maintained instruments last longer and increase the quality of your work. That is why we want to share a few tricks of the trade that will increase the efficiency and the life of your instruments. Wipe off the excess protective oil when you receive your new instruments. Rinse and use a plastic or nylon brush after each use to remove blood residue. 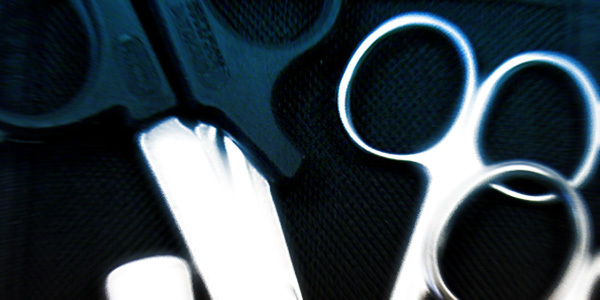 To avoid damage to blades, do not clean scissors with other instruments in ultrasonic cleaning systems. Dry instruments or soak them in a concentrated lubricant, before sterilizing. Always keep instruments opened during sterilization. A perfect guide and it is really a time saving. I didn’t get the exact information about protective oil. Kindly elaborate it. Thank you for your interest in our blog. The protective oil is a lubricant applied to the instruments when manufactured. Does it matter if the cleaner is an alkaline pH or a neutral pH?